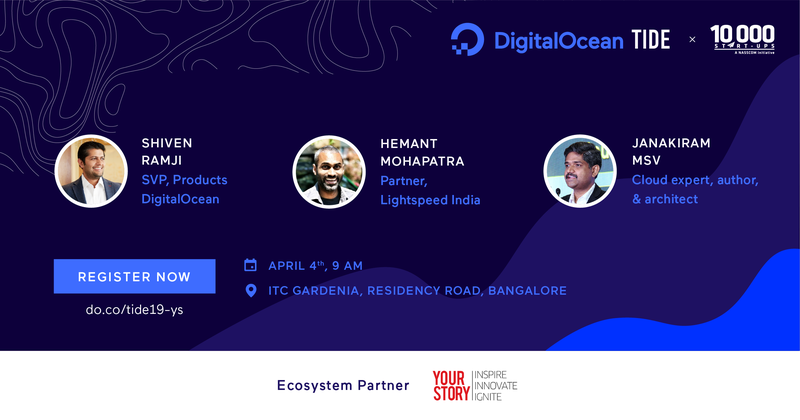 DigitalOcean, in partnership with NASSCOM 10,000 startups is organizing TIDE, a day-long conference of insightful talks and panel discussions meant for technology-enabled businesses. Come listen to Industry experts and practitioners and learn best practices on how you can use Cloud to grow and scale your business! This conference will be relevant for both business & technical folks at your organization.